The initial public offering of Sequoia Capital-backed Prataap Snacks Ltd saw robust demand on the final day on Tuesday, with the issue subscribed a little more than 47 times. The public offering of 3.62 million shares, excluding the anchor allotment, received bids for nearly 170.88 million shares, stock exchange data showed. Shares reserved for qualified institutional investors received nearly 77 times demand for the 1.02 million shares on offer, while the retail portion of 1.79 million shares was covered nearly eight times, stock exchange data showed. The portion set aside for non-institutional investors comprising corporate bodies and high net-worth individuals (HNIs) was covered 101 times as opposed to just 10% on Monday. The quota of shares reserved for eligible employees was subscribed 1.44 times. HNIs, or wealthy investors, typically bid on the final day of a public offering to keep their IPO financing costs at a bare minimum. They borrow short-term capital from various avenues, barring banks, to fund their IPO applications. HNIs deploy a small fraction of their own capital—which is called margin money—upfront. Additional capital raised through short-tenure loans help wealthy investors place large bids in an IPO. 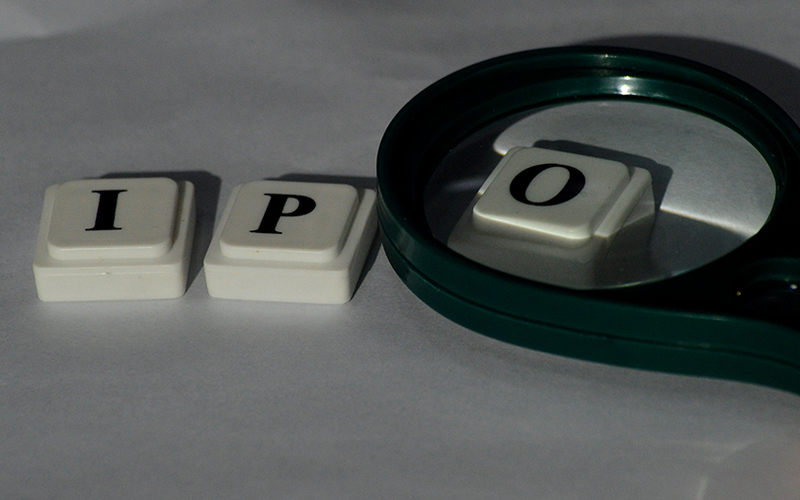 The IPO was covered 42% on its first day on Friday with support from institutional investors. The issue got traction on its second day on Monday, receiving 2.2 times bids for the shares on offer. On the grey market, the premium on Prataap Snacks’ shares further declined to 160-170 per share from Rs 225-230 on Monday and nearly Rs 300 quoted on the price band last week, two market dealers told VCCircle. The grey market is a pseudo, over-the-counter deal space where IPO shares are traded before the official listing on a stock exchange. The decline in grey market was due to the fall in shares of domestic firms. The BSE’s 30-share benchmark Sensex saw a marginal decline on Tuesday in a volatile trade. It was the sixth straight day of decline for benchmark indices. Prataap Snack’s entry into the public market expands the basket of listed snacks makers. One of the listed firms, DFM Foods, which operates under the brand Crax, counts PE firm WestBridge Capital as a key shareholder. Prataap Snacks, which counts Sequoia Capital as its private equity backer, was seeking a valuation of Rs 2,199.89 crore ($343.19 million) through the IPO that opened on Friday. The Indore-based food maker has raised Rs 143.40 crore ($22.5 million) from a bunch of anchor investors including one of world’s oldest and largest investment firms Capital Group, Fidelity Investments and American multinational investment bank Goldman Sachs. The company, which makes Yellow Diamond brand chips, on Thursday sold nearly 1.53 million shares at the upper end of the Rs 930-938 price band. At the upper end of the price band, the fill will issue 2.13 million fresh shares, besides the sale of 3 million shares by existing shareholders including promoters and PE investors. The total IPO size is Rs 481.94 crore ($75.18 million) and will result in 21.9% stake dilution on post-issue basis. The company had filed a revised proposal on 21 June as American venture capital firm Sequoia got reclassified as promoter after it converted the compulsorily convertible preference shares (CCPS) into equity, thereby changing the overall shareholding structure. It received Securities and Exchange Board of India (SEBI) nod for the IPO on 11 August. The company had first filed its IPO proposal with SEBI in October last year for which it had received regulatory nod in April this year. Edelweiss, JM Financial and Spark Capital are merchant bankers managing Prataap Snacks’ IPO. Prataap Snacks plans to use the money for retiring debt (Rs 50 crore), setting up new production lines and modernising existing factories at Indore and Guwahati and a contract manufacturing facility at Bengaluru (Rs 72 crore), investing in subsidiary Pure N Sure, repaying debt (Rs 24 crore) and brand building activities (Rs 40 crore). The company began operations in 2003 led by brothers Amit and Apurva Kumat and Arvind Mehta. It makes and sells potato-based snacks, extruded snacks and namkeen. Five years ago, it acquired the snack foods business of its group company, Prakash Snacks Pvt. Ltd and brought in the Yellow Diamond brand as well as the snack foods business under one umbrella. The firm has a presence in three major categories in India and all products are sold under the Yellow Diamond brand. VC-firm Sequoia had invested about Rs 265 crore in multiple tranches with its first investment dating back six years. Half of this quantum was infused into the company while the remaining amount was used to acquire shares from promoters and employees.